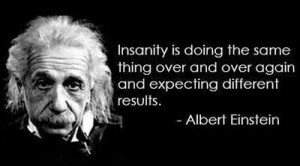 / Are Proponents of Climate Risk Insane? 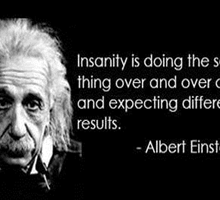 Are Proponents of Climate Risk Insane? 1. 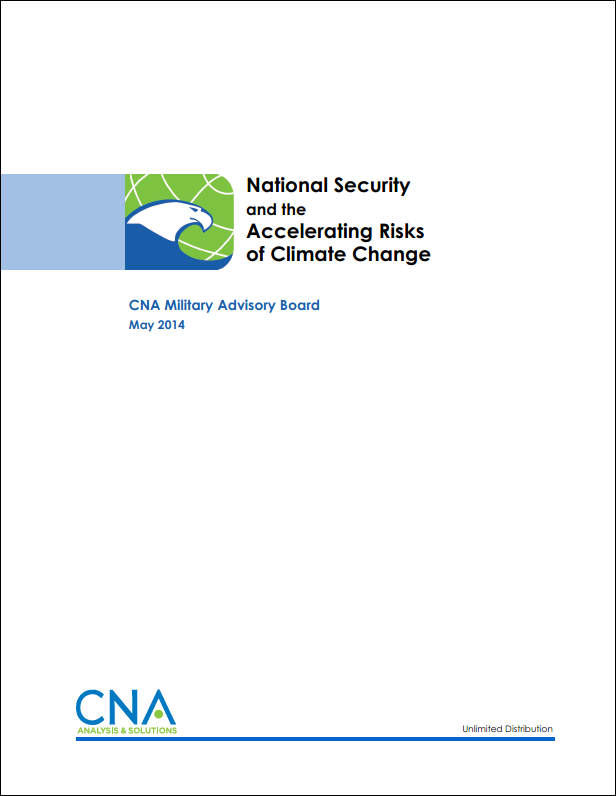 It’s pretty much a repeat of CNA’s 2007 report National Security and the Threat of Climate Change. With the exception of noting that some manifestations of climate change seem to have accelerated since the 2007 report, I don’t see much that is fundamentally new in the 2014 report. 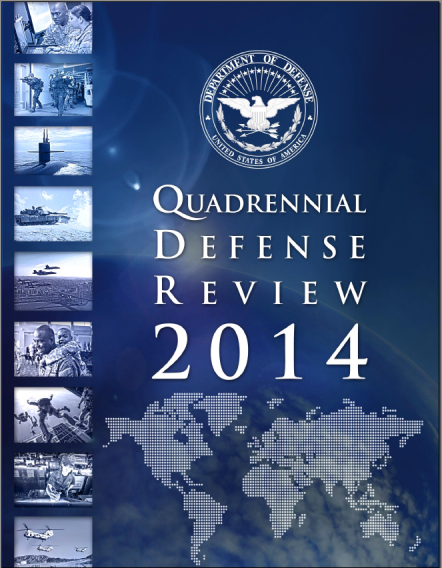 The takeaway message across the QDR’s 88 pages has little to do with climate change. Given the politics of climate change in Washington, this may be predictable. But it doesn’t do much to catalyze the action the CNA is looking for. When the CNA report appeared, the Twittersphere greeted it as if it were the first report to link national security and climate change. It’s not — there have been dozens of such reports going back a decade or more. I’m not taking issue with what’s in the new report. I am questioning the fact that similar reports appear again and again, presumably with the hope that they will eventually have a significant impact. While that is possible, I would argue we should be thinking more seriously about why the reports have not had the impact their authors would have liked. Moreover, we should address what can be done differently with future work in the field. 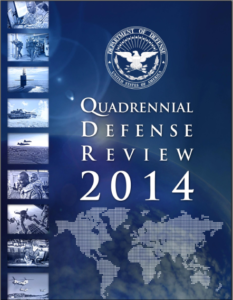 Are there more effective ways, for example, to communicate climate risk from a national security standpoint? Certainly, quite a bit of work remains to be done. 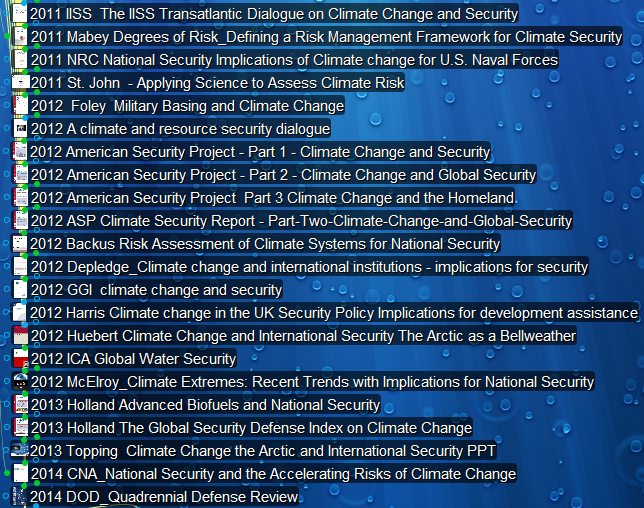 Perhaps some of this work could help communicate the climate and security message more effectively. 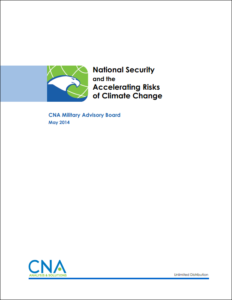 Perhaps the national security community should look beyond its disciplinary borders, to excellent work like that of Jonathan Rowson in his 2013 A New Agenda on Climate Change. It has to be a higher probability play than just repeating the same message over and over again, hoping for a different outcome.